The ingredients list did give me a little pause. There is nothing particularly alarming in there, I suppose, but the dextrose certainly comes quite high in order of quantity. 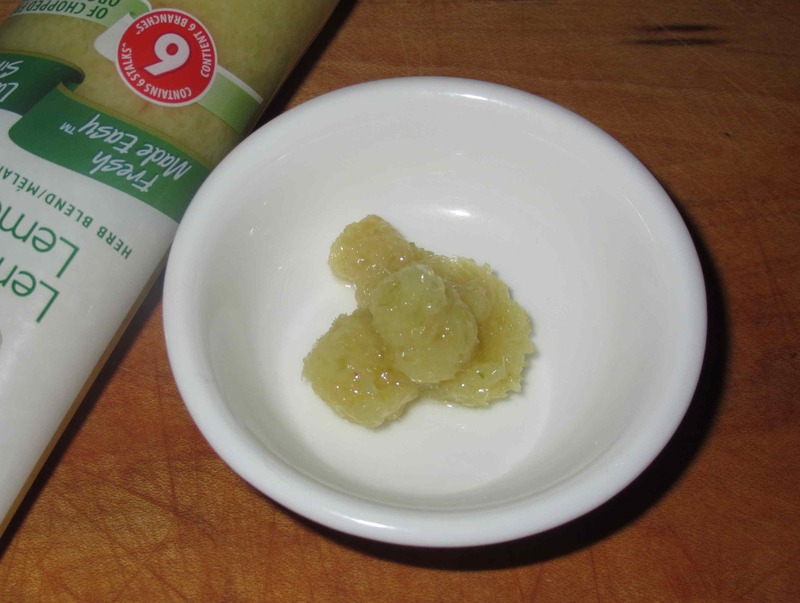 The product as squeezed directly from the tube doesn’t look markedly different from a paste made from the fresh article ground with a little salt, but I have to say that the similarities pretty much end with the appearance. When you peel away the dried outer layers of fresh lemongrass, the citronella aroma is very apparent but, with this, there was almost no fragrance at all and the taste was a little bit disappointing. Thank you so much Irene … and congratulations on your own award! I am glad to see that I am not the only person who has had the same experience; search high and low for lemongrass, find some at an Asian grocer only to have my local grocery store get some the next week. 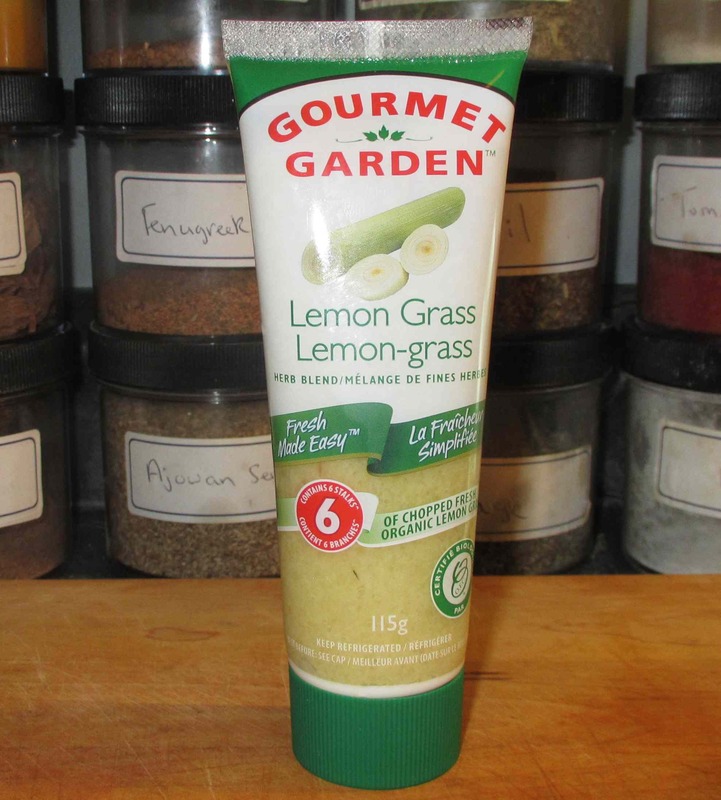 🙂 I bought a tube of the lemon grass when I couldn’t find any and wasn’t impressed with the flavor at all. Yeah … I’m not wild about it either. I also tried this and wasn’t impressed, I actually use it for a light lunch soup -mix a dab with chicken broth or miso, but I agree it’s not strong enough for a lemon grass replacement. When I lived in Boston I remember buying some fresh but frozen and keeping the stalks in the freezer. I’d take out a piece thaw and smash it then use it in recipes. I think next time I see it fresh I do that again. I also found I liked the cilantro and ginger in a tube that company makes! That’s too bad, I would love to have a convenient lemongrass preparation without having to schlep to Chinatown to get actual lemongrass. *sigh.. this is the only lemongrass I’ve seen at the shops.. at least thus far. I can just imagine the flavor of the “real deal”!! I’m hoping we get another batch of it here soon! It’s a solution when living in the Arctic and such herbs…are rare and expensive.